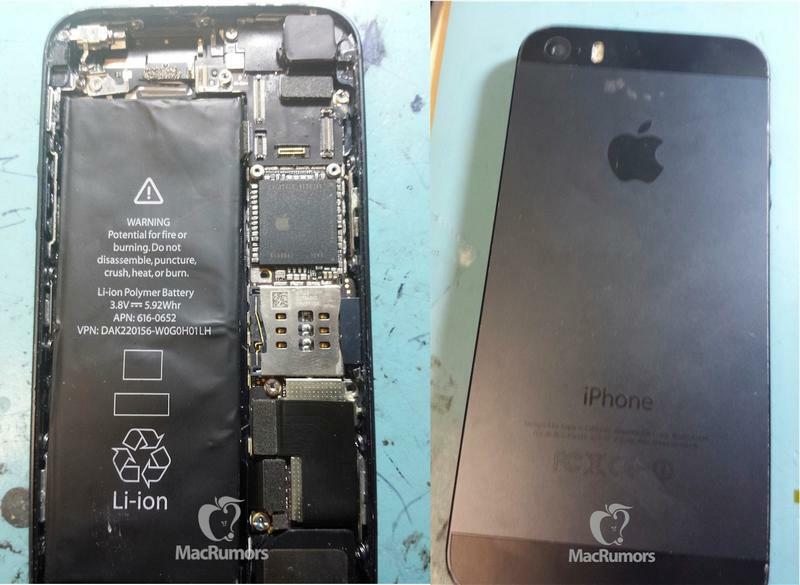 Parts we've seen over the past few months have been carefully pieced together by an unknown individual purporting to show the upcoming iPhone 5S nearly in full. Perhaps unsurprisingly, the device's appearance looks identical to the current two-tone aluminum design used now, save for the LED flash, though some internal changes are being made. As MacRumors points out, who acquired the photos, the almost-complete device is likely at the early prototype stage, meaning things could change internally, and maybe even externally, before a launch later this year. Much of what we've seen leak over the past several weeks seems to fit: the new logic board, SIM card tray, flex cables, vibration motor, and more. But the unlabeled processor calls into question how legitimate this device is—the chip is allegedly from October of last year—and how Apple plans to upgrade that department when an actual device hits later this year is unclear. It's hard to tell what other changes we can expect once the device launches. It appears Apple will move over to a dual LED flash, and possible we'll see an even bigger battery than what's in the iPhone 5. It's unlikely Apple ever had plans to introduce enormous changes in the next model, and it's no surprise it'll look very similar to the iPhone 5. Having seen so many part leaks already, expect to see more as we edge closer to a probable September announcement and launch of the iPhone 5S.